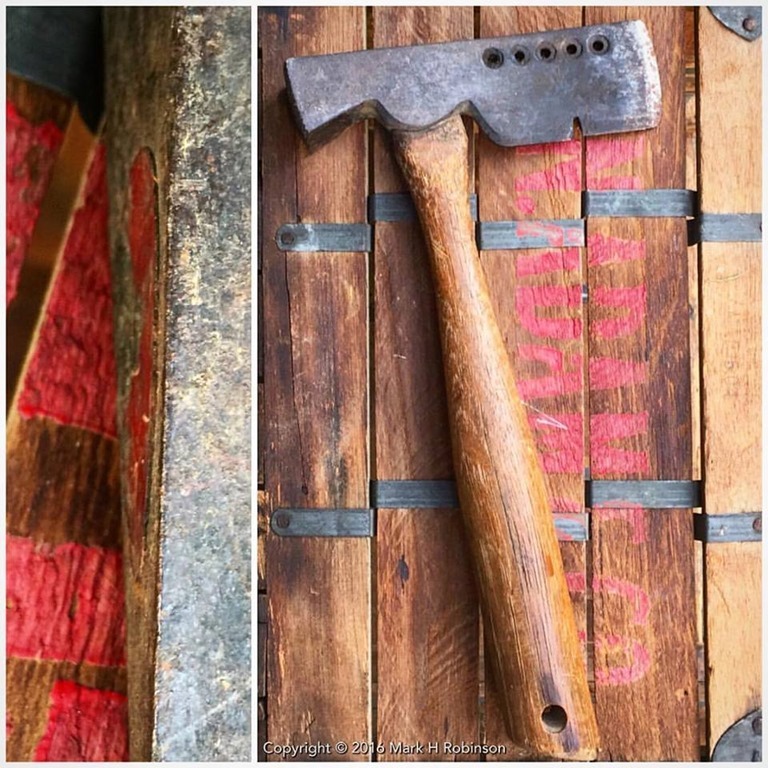 Following my early Handtool Thursday experiment with video yesterday, from which I learned a lot – mostly, that I have a lot to learn, here’s a more conventional offering. 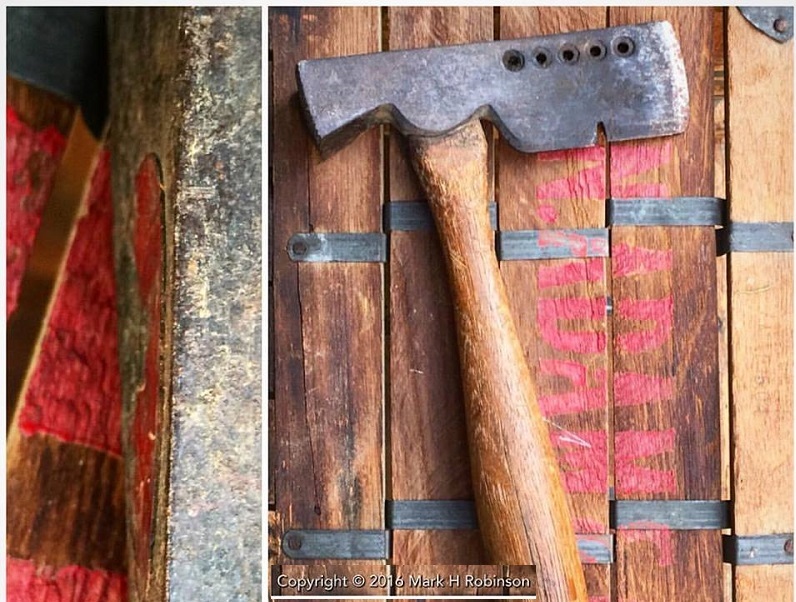 This is a Plumb roofer’s hatchet, in great condition and with the original hickory handle, which has acquired a wonderfully rich color from years of handling. The holes in the head are used for spacing shingles – a pin is placed through the hole of your choice, the head is hung up by the pin from the shing…le, and the next shingle is set where the base of the head lines up. 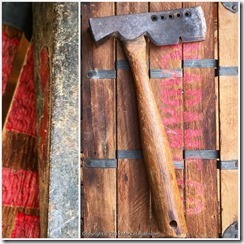 The most interesting – and unique – feature of this hatchet is that the head is secured in place with a red plastic resin using Plumb’s ‘Permabond’ technique. John J Curry and Robert Watson were awarded patent number 2,850,331 on September 2, 1958, and assigned it to Fayette R Plumb, Inc. This technique was in use for about twenty years, but based on the details of the head and the shape and patina of the handle, this example probably dates from the early sixties. All this tool needs to be ready to go back to work tomorrow is five minutes with an axe puck – it makes me wish I had a roof that needed fixing tomorrow!